Regardless of your talent, you need to partner with others to win championships. 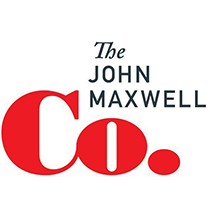 John Maxwell shares how to be a better teammate. What do Peyton Manning, LeBron James, and Lionel Messi have in common? Second-place finishes. Manning’s Broncos were crushed 43-8 in the Super Bowl, the San Antonio Spurs handily defeated Lebron James and the Miami Heat in the NBA Finals, and Argentina, led by Messi, lost 1-0 to Germany in the World Cup Final. Each athlete is also arguably the best player on the planet at his sport. Manning won the NFL MVP award last year. James has won four of the past six MVP trophies given by the NBA. From 2009 to 2012 Lionel Messi was voted the top soccer player in the world, and FIFA named him as the best performer of the 2014 World Cup. But talent doesn’t win championships; teams do. They are superior to individual ability for a number of reasons, many of which are brought to light in the excellent book Jesus on Leadership by C. Gene Wilkes and Calvin Miller. 1) Teams simply bring more to the table in terms of resources, effort, and energy. Teams can draw on a rich diversity of background experiences, providing a wealth of knowledge greater than the intelligence of any single person. 3) Teams instill the value of humility. In order to accomplish anything of significance, we’re required to work with others. By taking part in a team effort, we learn how insufficient our own talents are to accomplish a vision. The truth is that we’re not going to be successful unless a lot of other people help us along the way. 4) Teams provide rewarding relationships. The togetherness of a team fosters authentic community. Victories are far more rewarding when they can be celebrated with people whose company we enjoy. Developing your talents and pursuing personal growth can help you upgrade your abilities. However, focusing on your self-improvement, in isolation from others, won’t take you to the top. If you routinely place yourself first, then you’ll seldom finish in first-place. Regardless of your talent, you need to partner with others to win championships. How can you learn to be a better teammate—rather than simply a more talented performer?